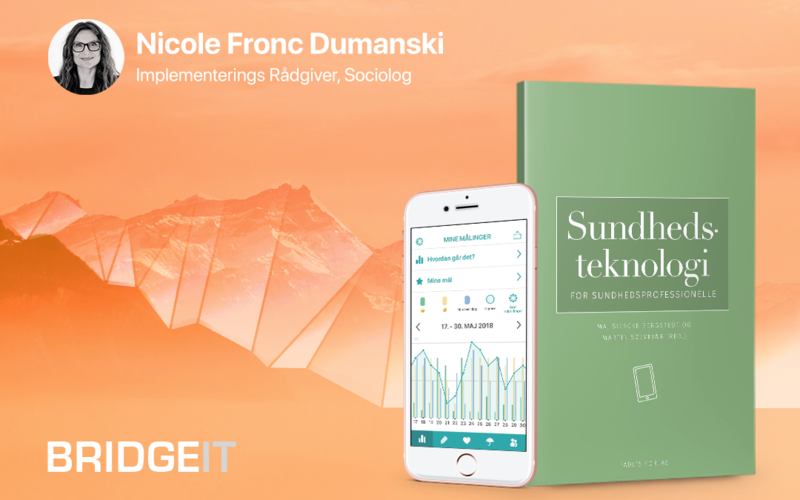 In the chapter ”Patientuddannelse i et teknologisk perspektiv”, Nicole explains how BridgeIT’s mobile health app “Minvej” can be used to support recovery for people with mental illness. The textbook is due to release the 21st of January 2019 and is addressed to health care professionals. “Minvej” is a tool for self-management which is developed for and with people with mental illness and psychological vulnerability in close cooperation with BridgeIT. Municipalities around Denmark subscribe to the app and offer it to their citizens as part of their recovery and rehabilitation. Nicole Fronc Dumanski is our “Minvej” specialist, with expertise in mobile health and skill development programs within recovery, mobile welfare technology and “Minvej” educational programs addressed to professionals, citizens and patients.